Pendant crane is used in a wide variety of industries to serve as the lifting equipment, such as machinery manufacturing industry. 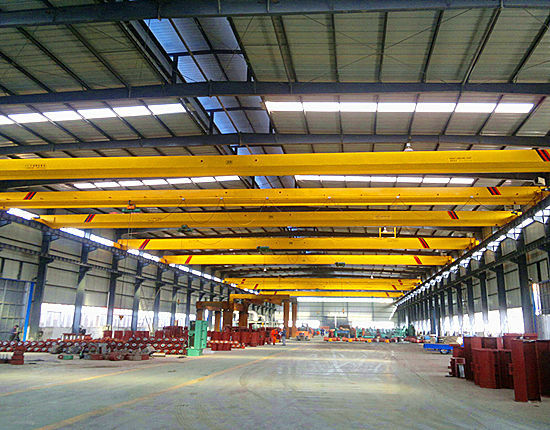 As the name suggests, it is a common type of overhead crane with pendant control. The pendant control is usually designed for light duty overhead crane with a button box hanging on. The crane operator can hold the button box to control the movement of the crane. The pendant drop cannot be too long, usually 1 meter above the ground, and the pendant stretching radius is generally not more than 2 meters, that is to say, the operator must be close to the lifting objects during the operation. As mentioned above, the pendant operated crane generally calls for small lifting capacity, and it is designed in four main configurations including single girder, double girder, top running and under running. The pendant control is technically designed for common overhead cranes, such as LD single girder overhead crane, QD double girder overhead crane, and LX underhung crane. The cranes for special use such as foundry crane are mainly equipped with cab operation for the sake of safety and more convenient operation. Which type is the best option for your business depends on your requirement for the capacity and lifting height, and also the conditions of the existing or new building, including the ceiling height and floor space. Among so many overhead crane parts, the crane pendant is one of the most frequently used parts during the crane operation, thus it gets broken easily and has to be maintained and replaced frequently. One of the preventive solutions for the pendant breakdown is to choose a high quality overhead crane pendant for a longer life as much as possible. Other considerations for determining the most appropriate crane pendant include the working environment of your crane and the strain relief. You need to think about questions like if the pendant can work in the humid or dusty air, or if it can bear the impact. Choosing a proper crane pendant for your overhead lifting equipment is crucial for the continuous and efficient operation of your business. To make sure you have selected the right crane pendant, please contact our sales representatives and engineers for further consultation. There are typically three operation methods for your overhead cranes, pendant control, remote control and cab operation. Each type has its strengths and weaknesses. The pendant crane is commonly used in normal lifting occasions such as warehouse and workshop of mechanical processing and assembly. It is a cost-effective option when used for small loads. 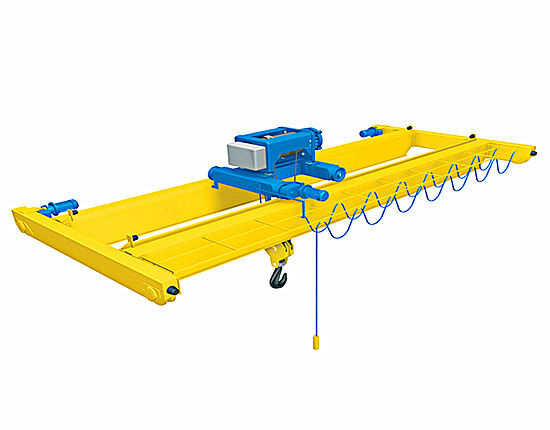 This crane enables the operator to have a close eye on the lifting goods, which also seems a double-edged sword as the operator has the possibility of getting hit by the loads, leading to a serious accident. By contrast, wireless remote control is required when the operator is better to keep away from the loads to ensure safety. It has a higher requirement for the crane operation. The operator normally keeps a long distance from the lifting goods, such as 20 meters away from the loads, so it doesn’t allow the operator to check the condition of the loads closely during the operation. When it comes to a higher requirement for lifting capacity or the working environment, the cab operation shall be the best option. That is to say, the cab control is usually designed for heavy duty overhead crane or cranes for special use, such as the foundry crane for lifting molten metal. However, compared with the other two operation methods, the cab control limits the vision of the operator and lays difficulty in the communication with ground staff due to long distance and noise, thus misunderstanding or even danger may occur. The overhead crane lifting equipment generally adopts one of the three operation methods or two combination so as to complement each other. When determining the types of operation methods, you should consider your practical needs carefully to make the best choice. Which Pendant Crane Supplier Is Right for You? As a professional overhead crane manufacturer and supplier with more than 10 years’ experience, Ellsen provides a large variety of overhead cranes for your business, including pendant crane, remote control overhead crane and overhead crane with cab control in terms of operation methods. We also manufacture gantry crane, jib crane, electric hoist and winch products for your wide range of applications. We are qualified supplier with ISO and CE certificates, capable of providing the best solution and service according to the most practical requirements of our customer. Our aim is to create the maximum value for our clients, and work together to achieve a win-win situation. If you have any problems, please contact our sales team online directly, we will help you find the most suitable solution for your application.